By Reverend Elizabeth M. Edman. Beacon Press, 2016. 181 pages. $25.95/hardcover; $24.99/eBook. Before we begin, let us pause for a moment to respectfully acknowledge that the common use of the word “queer” still alienates and therefore excludes some members of the sexual‐minority community. I, myself, know what it means to feel disrespected by the unthinking use of that term. But if there were ever a case for embracing the word “queer,” it has never been better made than by Rev. Elizabeth M. Edman, an Episcopal priest in New York who has served as a pastor, counselor, and AIDS chaplain. The “queering” of the Christian, Edman explains, happens in analogy with a gay person’s coming out process: one acknowledges a controversial identity; risks revealing it to others; engages or touches others in the exploration of that identity; confronts scandal; and nurtures that identity through community, “looking to the margins to see who is not yet included.” As a Quaker historian, I recognize historical implications of these reflections which Edman did not address, possibly because she is unaware of them, yet I know that she as a female minister would deeply appreciate them. This doctrine of spiritual transcendence of gender was vital to early Friends from the moment they celebrated women’s preaching, and served as a mighty bulwark not only for Susan B. Anthony in her leadership for women’s rights, but also for such mavericks of history as ex‐Quaker Jemima Wilkinson, “the Universal Publick Friend,” and America’s first openly lesbian minister, ex‐Quaker Phebe Ann Coffin Hanaford. 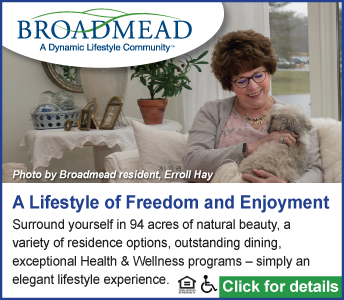 Edman’s treatment of scandal is hardly trivial or incidental among her concerns. It would seem that a searing ordeal in her own ministry—an unethical affair with a graduate student—provided a powerful personal impetus for the development of her views. While the book floats a whole raft of debatable theological speculations, from major to minor in scope, even her fiercest critics would be unable to contradict her reminder that the Cross was an unspeakable scandal and source of shame for the first followers of Jesus—a turn of events that one might call a shockingly queer tragedy. As a post‐Christian myself, having once lived that faith and having found that I needed to transcend its limitations, I cannot predict how relevant Queer Virtue will be among other post‐Christian readers. I am sure that none of them will be favorably impressed by Edman’s awkward engagement with the serious ethical implications of the story of Isaac and Abraham, which forms the very basis of Judaism and Islam as well as Christianity. But prominent Protestant authors have warmly praised Queer Virtue, and there is an appreciative readership for the book. The book is part of the Queer Action/Queer Ideas series from Beacon Press. I am surprised that series editor, gay historian Michael Bronski, allowed the book to ignore the entire course of gay history, focusing as it does only on the scriptures of the very earliest Jews and Christians and the most recent opinions of a few gay theologians. On the other hand, it’s likely that Edman knows her intended audience better than I do, and the buzz around the book seems to confirm that proposition. 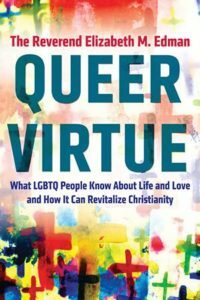 Full of provocative ideas and occasional passages written with style and conviction, Queer Virtue is sure to find a welcome home in both evangelical and unprogrammed Friends meetings.